24 Responses to My Teardrop on the Tiny House Blog! You’re getting close to my territory in southeastern Wyoming. Hopefully you’ll be able to check out some of the killer terrain around here like Vedauwoo and Curt Gowdy! Yep, I’m heading your way today! I’ve never seen Devil’s Tower so I thought I’d spend the week making my way from Pawnee up through eastern Wyoming. Travel tips always welcome! Thanks!!! You should definitely explore Vedauwoo if possible. It’s out of this world! We’re the first exit in South Seattle, Seward Park. 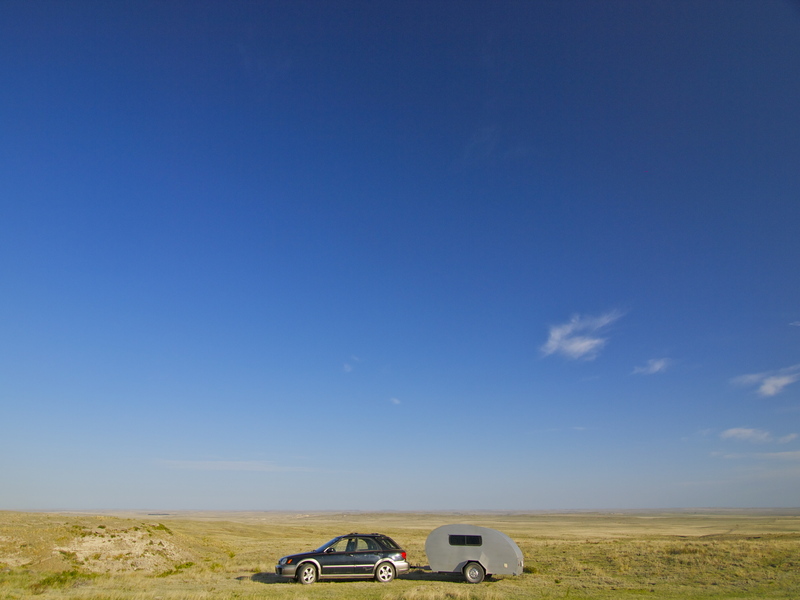 Would love to offer tea for a view of your teardrop. It looks special. I can tell you about my tiny adventures…1967-69 hitching Moroco and driving a VW Van to Nepal and back. And this was just the start of some good story. MLK exit and a mile+ down to the lake. I am not sure if this is the answer to your refrigerator problem or not, but we use refrigerated coolers that plug into out car DC outlet. Sometimes we have to choose between phone or refrigerator though. We have 2 and they were about $125 from Walmart and Cabelas. Thanks Martha! I have looked into those, but I don’t drive enough to keep them cool. Most days my car is only running for a couple of hours and I’ve heard those need to be kept plugged in all the time to work. more than cool to come across you. you get so close to northern wyoming, you might want to check out the ice caves in the pryor mountains just south of billings, montana. across the ravines- wild mustangs. It is one thing to observe them in the wild, but quite another experience to see them just outside the fence of our back yard!